Backpacker Facebook Groups to join in New Zealand. One of the scary things about travelling to New Zealand is going to a country where you don’t know anyone. Well, there is an active group of backpackers on Facebook willing to meet up with like-minded travellers, exchange tips, sell/buy/swap items, and so much more! Facebook Groups for backpackers in New Zealand makes you feel like you are not alone in a new country. Facebook Groups for backpackers in New Zealand are a useful tool to have when looking for lifts, travel mates, advice, jobs, cars to buy/sell and so much more! We have whittled down the Facebook Group offerings to the very essentials you need to join for backpacking in New Zealand. Plus, be sure to know how to utilise these Facebook Groups by checking out 15 Simple Tips to Kill It on Backpacking Facebook Groups. With more than 24,000 members (at time of writing), Backpacking New Zealand is the biggest Facebook Group for backpackers in New Zealand. Therefore, you have the biggest audience to ask your questions to, find or offer a lift, find travel mates and buy/sell gear (although they are not big on the car buy and sell so look to other groups for that). Yes, another Facebook Group going by the same name. What we like about this Backpacking New Zealand is that sometimes posting in a smaller community – this Facebook Group has around 9,000 members at the time of writing – is that your post is not competing with too many other posts, yet the community is still very active with commenting. The rules are similar to the first group we mention, therefore you can treat them the same. Whether you are buying or selling a vehicle in New Zealand, Backpackers Cars Buy&Sell New Zealand makes it super easy to browse vehicle for sale. This dedicated Facebook Group to buying and selling backpacker vehicle keeps things relevant and is monitored daily for scammers or dodgy sellers. For more advice on buying and selling vehicles, check out Buying a Car in New Zealand Step by Step and How to Sell Your Car in New Zealand. Now that you have joined a few New Zealand groups, now you can start joining location specific Facebook groups. If you are staying in one town or city for a while, get joining the local buy and sell groups, the rooms to rent groups, the local job boards and whatever is available in that area! There’s Queenstown Houses to Rent, Flatmates Wanted – Auckland, CHRISTCHURCH JOBS, Wellington Buy And Sell and the list goes on! 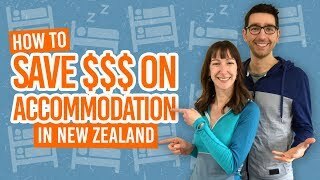 Use these Groups as a tool in your 6 Resources to Find a Room to Rent in New Zealand. Missing your own kind? Need to spend time with familiar accents or languages? 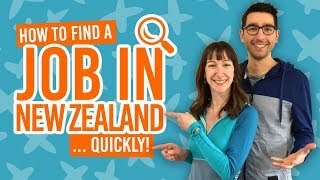 Want to travel over to New Zealand with someone from your own country? Then join a backpacking Facebook group for your nationality in New Zealand. There are so many of them, French, German, Argentinean, British… Ok, so we’re not going to list every country here, but you get the point. For more ways to meet new people check out 8 Ways to Meet People When Travelling Alone in New Zealand.